Morris focuses on classical riding and horsemanship. 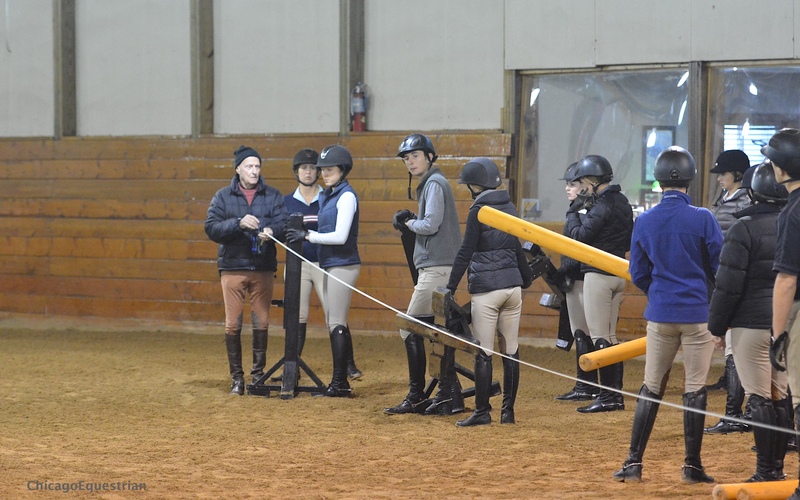 Antioch, IL – December 1, 2015 - The George Morris Chicago clinic came to a close after 30 years of classic instruction, organized by Diane Carney, USEF R HU/EQ/JP official. 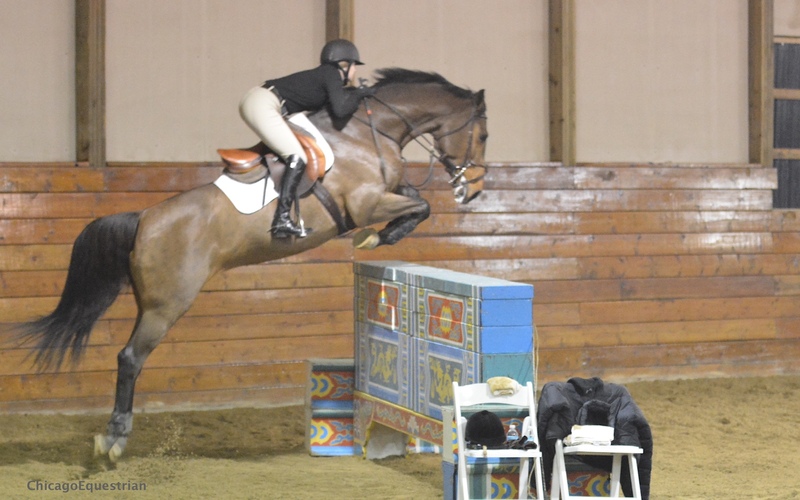 With a record number of auditors filling the chairs at Rush and Caroline Weeden’s Annali-Brookwood Farm, the series ended as one to remember. Morris put the 24 riders through their paces over the three days as he has done since his first clinic in Atlanta in 1962, returning yearly to the Chicago scene in 1985. His teachings have never wavered, focusing on classical riding, even as other training trends have come and gone in the industry. Morris’ success is timeless, demonstrated by students such as Leslie Burr-Howard, Melanie Smith-Taylor and Katie Monahan-Prudent. 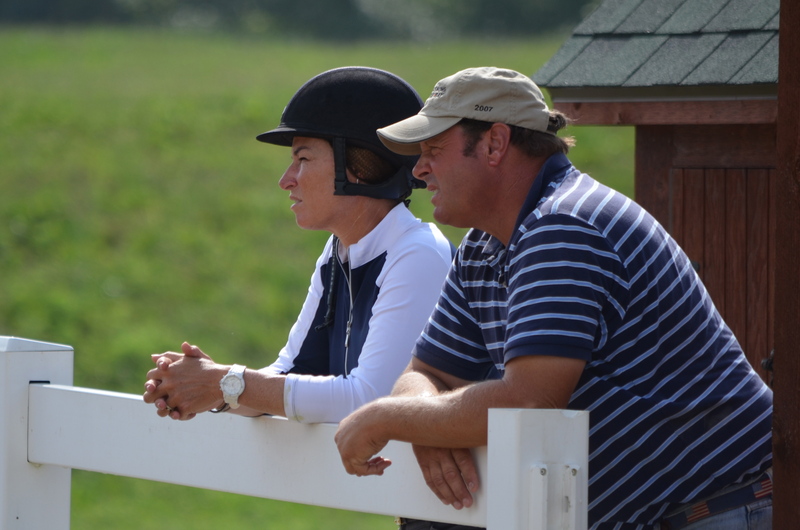 Other professionals and top riders coming out of Morris' Chicago clinics include Diane Carney, Rush and Caroline Weeden, Chris Kappler, Nancy Winter, Joan Hammill, Kent Farrington, Ray Texel, Brenda Mueller, Lauren and Catherine Tyree, Amelia and Abigail McArdle, Brandie and Hunter Holloway and other past and future Olympic riders. Caitie Hope has participated in the clinic since her junior years and now competes as an amateur. The amazing group of auditors were not only impressive because of the large numbers that showed up, but that they were truly there to hang onto every word and every ride of the legendary Morris. With standing room only across the entire end of the beautiful indoor arena, spectators sat quietly and intently, respectful of the opportunity to watch the master at work. At the end of each day, trainers and riders patiently waited in long lines for the chance to get Morris’ autograph or a priceless photo with the equestrian celebrity. Some auditors came with original editions of Morris’ book, Hunt Seat Equitation, and old black and white pages of his Practical Horseman column for him to sign. A record number of auditors took in every word. While 2015 ended an era of George Morris clinics, Brookwood Farm and Carney are pleased to announce the Brookwood Program for 2016. The new program will feature two riding groups in the morning with a top clinician, followed by an afternoon of horsemanship, lectures and stable management, which will be open to both auditors and riders. The new clinic format will take place over the same traditional Thanksgiving weekend, November 25, 26, 27, 2016. Rush and Caroline Weeden of Brookwood Farm will host the Brookwood Program. 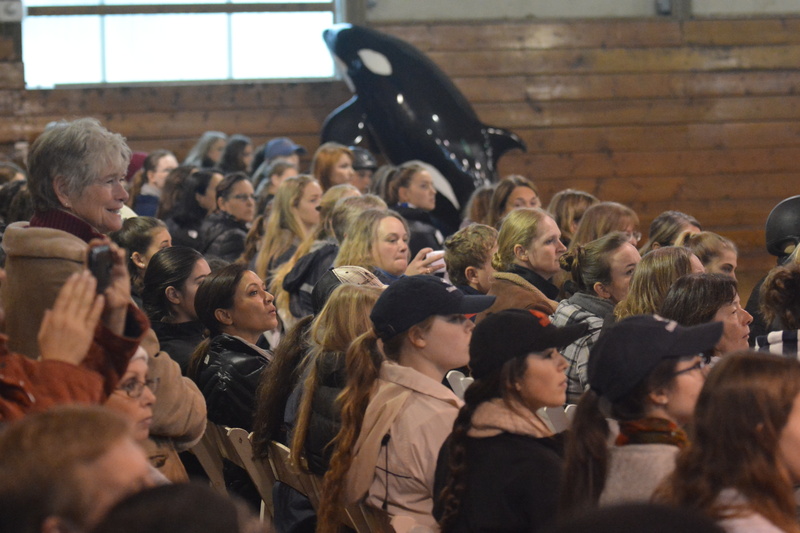 Afternoon lectures could include top veterinarians such as Dr. Marvin Beeman - the veterinarian for Olympic horse Calypso and rider Melanie Smith-Taylor, and Dr. Mark Cassells of Homestead Veterinary Clinic. Topics may include insurance, contracts, legal concerns of farm owners, shoeing, therapeutic treatments for horses, setting gymnastics and more. 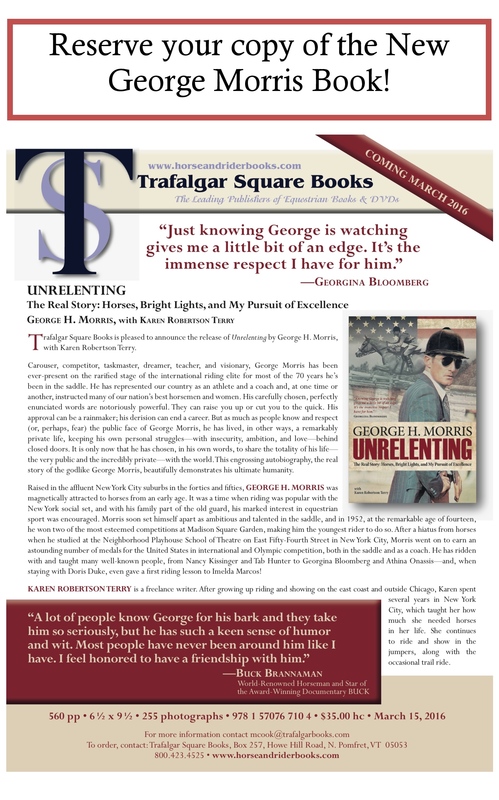 “The new format is a way to keep education and information flowing to horsemen, trainer, riders and owners. Horsemanship and stable management is just as important as the riding parts so we want it to be available to everyone,” said Carney. Riders learn from Morris while setting the course for the day. Brookwood Farm is pleased to host the event at their beautiful facility, which hosts the National Show Hunter Hall of Fame Chicago Hunter Derby. The Weedens have also hosted the Gladstone Program for the past two years, which is a similar format for the new clinic. Carney thanked all the riders, trainers and sponsors who have supported the clinics, especially this year’s sponsors, Devoucoux, Finish Line Horse Products, Taylor Harris Insurance-Peggy McEnroe, USHJA Zone 5, Chicago Equestrian, Benchmark Farm and hosts Brookwood Farm and Telluride Farm. For more information or sponsor opportunities for the Brookwood Program, contact Diane Carney 847-922-6167 or dtelluride@aol.com.